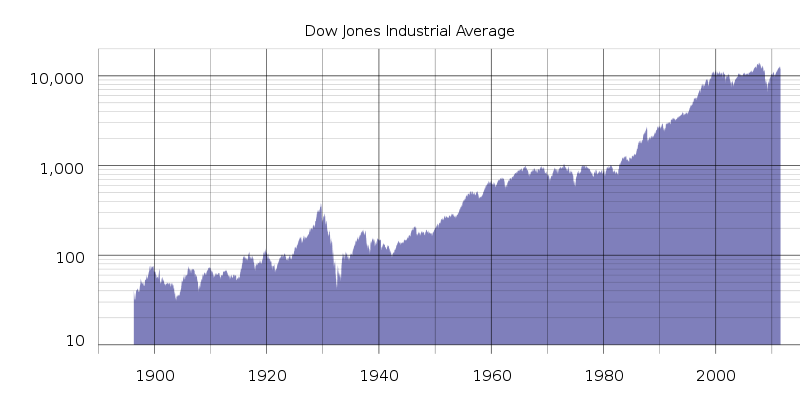 On March 5, the Dow Jones Industrial Average, also known as Dow Jones, closed at 14,254, its highest closing level ever. The previous highest level it touched was 14,164 which was over 5 years ago in 2007. After that, it reached a low of 6,547 (that’s less than half its peak value) in 2009. That’s all good to know but what is the Dow Jones Industrial Average? It is a stock market index made up of 30 large American companies (including companies such as McDonalds, Coca-Cola, Microsoft, Walt Disney, and Wal-Mart). Now what’s a stock and what’s an index? Let’s say you have a company. You want to make it bigger but need more money. You take money from a person and give that person some ownership of your company. You’ve basically given that person “stock” in your company. If the company does well, both of you will make money. Now let’s say you want more money and want many people to buy stock in your company. It’s really hard for you to get word out to everybody about your company. You can join a “supermarket” which basically has stocks of many companies. You list your company with the supermarket of stocks. Everybody who comes to buy stocks at the supermarket will also see your company’s stock there. This supermarket of stocks is called a “stock exchange”. Many countries have multiple stock exchanges. The biggest stock exchange in the United States is the New York Stock Exchange. The biggest stock exchange in the United Kingdom is the London Stock Exchange. Now, to tell how the financial market is doing, we use something called an “index”. Each index is basically a list of a few companies where the stocks of the companies are averaged out and followed. By tracking this index, you get the general feel for the health of the market. For example, in the United States, one of the most followed indices (which is the plural of ‘index’) to see how the financial market is doing is the Dow Jones Industrial Average. If the Dow Jones is going up, it usually implies that the overall American market is doing well. Most countries have their own indices. Some examples are CAC-40 (40 big companies of France), FTSE-100 (100 large companies of United Kingdom), Sensex (30 large companies of India), and Nikkei 225 (225 large companies of Japan). Some of the world’s financial markets started to go down at the end of 2007. By the end of 2008, many global markets had tumbled, stumbled, and crumbled. Many countries’ governments, banks, and companies were in trouble. People lost jobs. The governments of many countries gave money to their banks, gave tax breaks to their citizens, helped people find jobs, and helped companies in trouble. The Dow Jones reaching a new all-time high is a sign of the improving economy in the United States. The United States is the world’s largest economy. 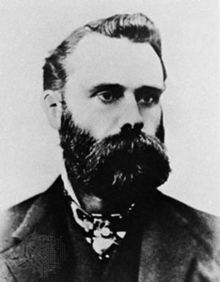 The Dow Jones was founded in 1896. Charles Dow, an American journalist, was one of the founders.